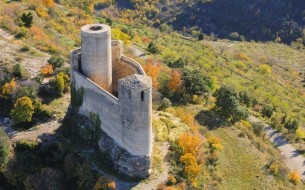 * Visit the Montblanc walls, introduction to fortified cities. * Visit, in exclusive, the Royal Poblet Monastery. 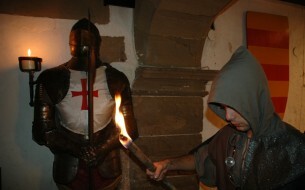 * Visit the Milmanda Castle. * Snack and "Torres" wines tasting in Milmanda's Castle. * Lunch with catalan food products. * Visit the Montsonís Castle. * Sweet tasting in "La Botiga" of Montsonís. 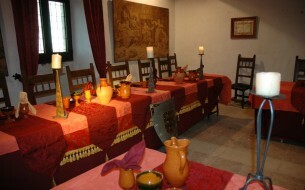 - Route a day for small groups of 4 to 6 people which offers the possibility of doing an interactive return to the medieval period in Catalonia, visiting three historical references: Montblanc, Poblet and Montsonís. Montblanc will see the best example of catalan medieval defensive architecture. In Poblet, will visit the monastery, a jewel of religious architecture which is World Heritage since 1998. In Milmanda will taste wines from Torres Winery and finally we'll visit Montsonís. Montsonís Castle is the headquarter of the Cultural Castles Foundation of Catalonia and the dwelling of the Albi Barons. - Pick-up costumers at the same hotel and arrivals before lunch and dinner.